Among the recent regulatory actions: (1) continued problems with B737 cockpit warnings, (2) more SFAR 88-related work on electrical systems, (3) a special condition for B787 fuel tank safety, (4) an AD affecting more than 4,000 Robinson helicopters, and (5) an emergency AD concerning Bell helicopters. “We received reports that the warning horn did not sound during the takeoff warning system test of the S132 ‘nose up stab takeoff warning switch.’ Certain airplanes were found to have switch failures, which resulted in lack of aural warning when the stabilizer was positioned outside of the green band limits. Also, operators found that both internal contacts would not actuate during switch rotation. Without the warning horn, diagnosing the configuration problem could well take more time than the few seconds the crew has to diagnose the problem and input the correct flight control commands. Roaring off the end of the runway or flying to low after rotation to clear obstacles could easily end in a fiery death for all aboard. The FAA wants almost 1,000 “Next Generation” B737s inspected within 6 months. The 6 month clock begins ticking after a final rule is published. This action results from design review of fuel and wiring systems mandated by Special Federal Aviation Regulation, SFAR 88. 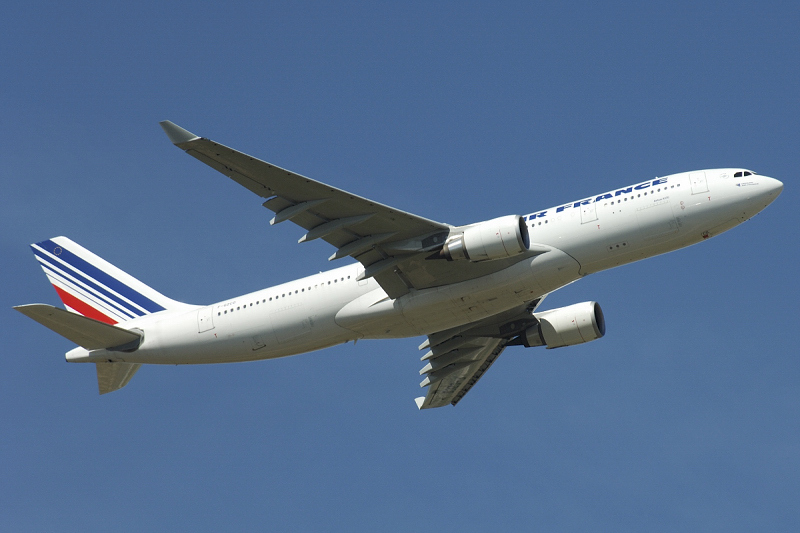 This regulation took effect in December 2002 and covered all transport category airplanes weighing 7,500 pounds or more. Dozens of ADs resulted, correcting wiring problems that could precipitate a fuel-vapor explosion in the tank. SFAR 88 was published in response to the explosion that downed TWA 800 in 1996, which was attributed to electrical arcing in the center wing tank of a Boeing 747-100. The publication of this proposed AD nine years after SFAR 88 was published reflects, frankly, a lack of urgency concerning the elimination of ignition sources inside fuel tanks. Inspections/corrections must be done within 6 months after the final rule is published. Given that the final rule will be published anywhere from 6-12 months hence, it will take at least a decade to redress a hazard that should have been designed out when these airplanes were still on the drawing boards. Comments are due 15 November. The B787 is Boeing’s new airplane that features an all-composite structure. Traditional aluminum structure airplanes have a built-in protection against lightning, in that the metal skin essentially prevents a lightning strike from penetrating to the interior of the airplane. A composite structure offers no such protection. 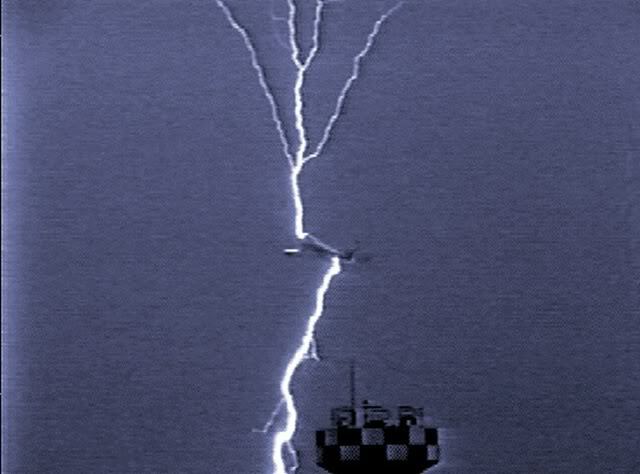 Lightning will penetrate into the inner reaches of the airplane. This means that lightning could provide an ignition source for fuel-air vapors in the fuel tanks. Boeing plans to outfit the B787 with a nitrogen generation system (NGS). This system will flood the fuel tanks with an inert gas, greatly reducing the prospect of a lightning-triggered fuel tank explosion. “(U)niguely challenging and impractical for certain aspects of the electrical bonding of structural elements. Such bonding is needed to prevent occurrence of fuel tank ignition sources from lightning strikes. The effectiveness and fault tolerance of electrical bonding features for structural joints and fasteners is partially dependent on design features that cannot be effectively inspected or tested after assembly without damaging the structure, joint, or fastener. In other words, over time, the vulnerability of the fuel tank to lightning penetration and explosion increases over time. The NGS will compensate for structural flaws by filling fuel tanks with nitrogen gas. However, the NGS need not operate 100% of the time; there are not two NGS systems on the airplane for assured safety and redundancy. As the fine print admits, the NGS will provide “some relief” from ignition prevention requirements. (2) Do not allow dispatch of any airplane with the inerting system that is not functioning if the design does not have two independent features that will prevent an ignition source. To cut though the technical jargon and the bureaucratic niceties of airplane dispatch, it is highly likely passengers will be exposed to a greater probability of fuel tank explosion on the all-composite B787 than if the plane were built of aluminum. The special condition is effective 23 December 2010. 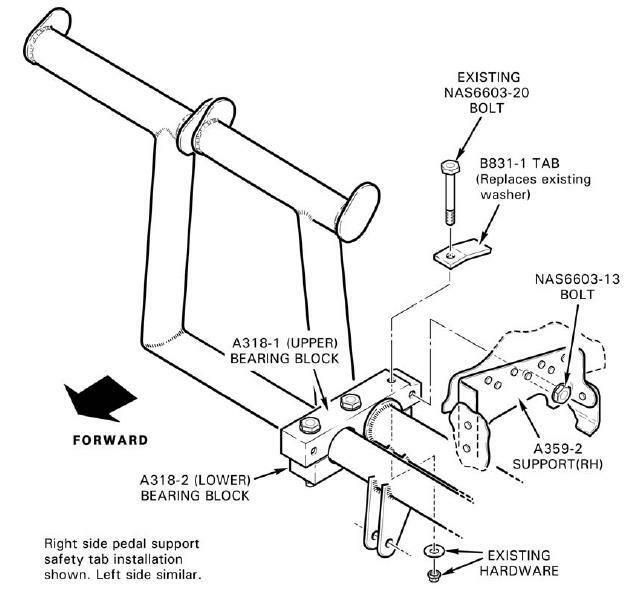 AD requires action to prevent the tail rotor (T/R) control pedal bearing block support from breaking. A broken support can bind the T/R control pedals, resulting in loss of control. All helicopters must be inspected for cracks within 100 hours of service. Cracked supports must be replaced. And if the support is not 0.50 inches thick, it must be replaced. The FAA says this action is prompted by two reports of broken supports in flight, which resulted in the T/R control pedals becoming jammed. This AD affects 4,500 helicopters in U.S. registry. Before further flight, certain fittings must be replaced to prevent failure of the main rotor system. The failure of the main rotor has led to fatal accidents. “Bell states in ASB [Alert Service Bulletin] 212-10-142 that they have determined that fittings may not have been manufactured in accordance with the engineering design requirements and may fracture as a result of a non-conformance. They also state that a possibility exists that undetected cracks during the quenching operation could have occurred at manufacture. A magnetic particle inspection is required to detect cracking. It appears that Bell has a quality assurance problem on the production line.